Learn how to check and add Power Steering Fluid to Kia Sedona vans from 2015 through 2019. Checking the power steering fluid on a Kia Sedona is easy and takes less than five minutes. Next, you need to locate the power steering pump on your Kia Sedona In this case, the power steering pump is located on the driver/passenger side of the engine bay. Once you locate the power steering reservoir on your Kia Sedona, remove the cap. Inspect current condition of the the power steering pump. 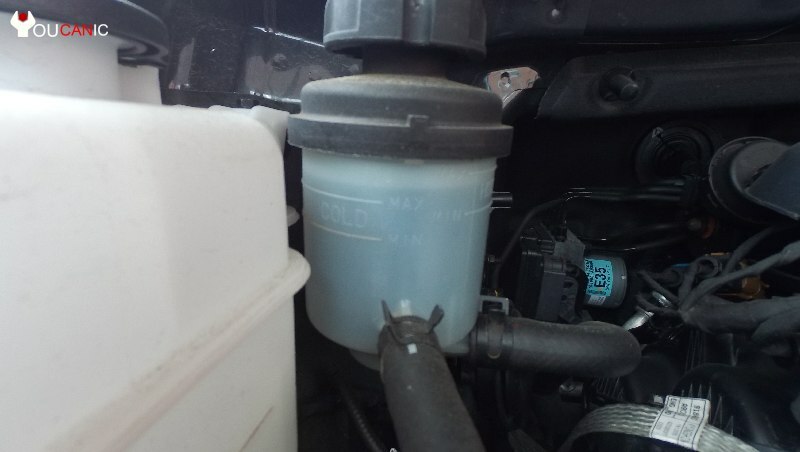 If you look carefully on the side of the power steering fluid or the cap dipstick you will notice a Low and Max level for the power steering fluid. Determine if the current power steering level is below the minimum level. Adding power steering fluid on 2015-2018 Kia Sedona is very easy. Here are some general instructions on how to add power steering fluid on a car. Instructions on how to add power steering fluid on a car.